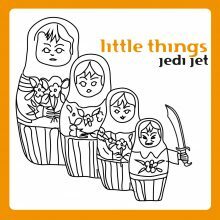 Jedi Jet are back! After a break the two Croatian exceptional talents return to Mo’s Ferry where it all began… This mini album is everything but mini! Seven tracks that couldn’t be more diverse, sounding like being casted in one piece. It’s a record ranging from experimental, unconventional, claustrophobic sounddesign across dubby house grooves to classic sampling-aesthetics and that typical ‘frickel-sound’ you’d expect from Jedi Jet and Mo’s Ferry.